Lynn Bennoch qualified as an accountant in the early 1990s at Liverpool John Moores University, and spent many years in various finance roles in further and higher education — with her last role prior to joining CAIS in August 2006 being the Director of Financial Services at Liverpool Hope University. Before joining CAIS, Lynn also studied at Keele University where she graduated with an MBA. Lynn’s original role at CAIS was that of Financial Controller, but as with the majority of organisations the role has expanded over time. Lynn was the Lead Director of CAIS towards the end of 2008 and into 2009 whilst a recruitment process was underway to appoint a new Chief Executive. Following the appointment of the new Chief Executive — Clive Wolfendale — in 2009, Lynn became Commercial Director and Deputy Chief Executive. 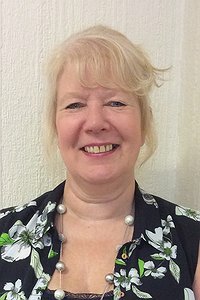 Lynn managed the very successful Peer Mentoring Project in North Wales which was funded for four and a half years, and now has the responsibility for the majority of the organisation's corporate services as well as deputising for Clive whenever necessary. Lynn is actively looking to develop and establish good management practices throughout the organisation to ensure service users are able to access a quality service at all times.